Found black and white photos, enlarged, cut out, colored with photo dyes, markers, pen, paint pen, and acrylics. 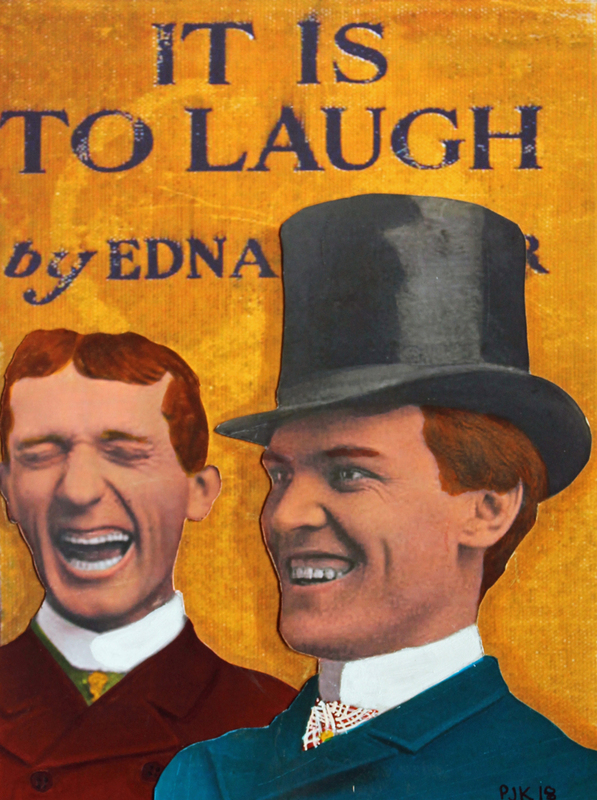 Collaged (glued) on found period book cover (It Is To Laugh by Edna Geister 1920.) Unrelated men from two photos. One society type and one working class.